Big Travel Boom Expected This Fourth Of July Weekend : The Two-Way AAA says cheaper gas is one of the driving forces behind an expected increase in travelers this holiday weekend. Nearly 45 million Americans are expected to travel 50 miles or more from home. AAA says this will be the busiest Fourth of July travel period ever, with most people taking to the road to get to their destinations. Americans may be celebrating 241 years of independence this Fourth of July, but they won't be liberated from their cars on what's forecast to be the "most traveled Independence Day holiday" ever. AAA says that 44.2 million Americans are expected to travel 50 miles or more from home, with the vast majority on the road. That's an increase of nearly 3 percent from the year before, or more than a million people. "It's going to be crowded and travelers should definitely make sure that they're planning ahead," AAA spokeswoman Tamra Johnson tells The Associated Press. That means leaving early, Johnson says. "And if your schedule allows, even try to travel on the actual holiday." 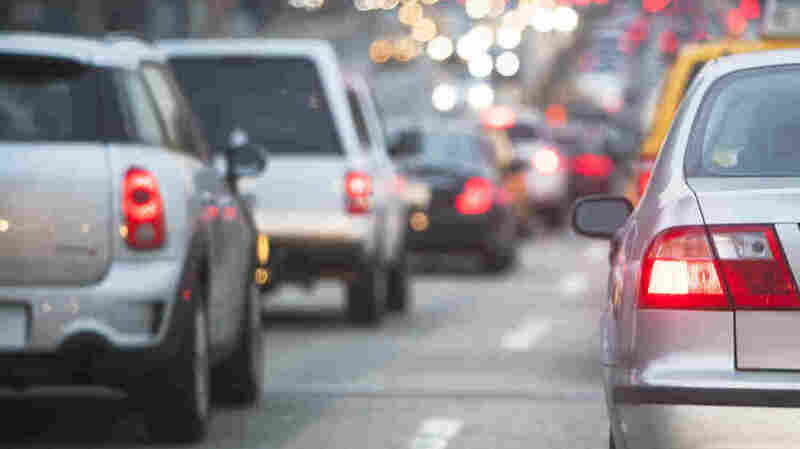 Nearly 38 million Americans are expected to drive, according to AAA, which defines the Independence Day travel period as Friday, June 30, through Tuesday, July 4. Some 3.5 million people are forecast to fly. And 3.25 million others will take a different form of transportation, be it a bus, train or cruise ship. "Combined, strong employment, rising incomes and higher consumer confidence bode well for the travel industry, in particular this Independence Day weekend," Bill Sutherland, AAA senior vice president for travel and publishing, said in a statement. AAA also says historically low summer gas prices are a main driver of the boom. At $2.28 a gallon, the national average is 4 cents cheaper than the year before. On Wednesday, the cheapest gas could be found in South Carolina, averaging as low as $1.91 a gallon, followed by Oklahoma, at $1.95, according to GasBuddy. The priciest gas was in Hawaii, at $3.30 a gallon, with California coming in second, at $3.02. Flying is also less expensive this year, with 10 percent cheaper airfares on average for the most popular domestic routes. The average cost of a round-trip ticket is $186, AAA says. A previous version of this story said West Virginia had the nation's lowest average price per gallon of gas on Wednesday. In fact, South Carolina had the cheapest gas.